Gtbank now allows you to buy airtime for your friends and family via your mobile phones from your Gtbank account. Initially Gtbank customers were only allowed to buy airtime for their registered lines ONLY i.e the particular line that receives the alerts. But now you can buy airtime to other mobile lines (which includes friends, families e.t.c) and get it deducted from your account balance in the bank. Firstly, you should make sure you are using the phone line that is registered with your account in Gtbank and you should also have your Gtbank Mastercard handy. If you have all of these, then let's proceed to the main thing. To buy airtime from your Gtbank account, dial *737*Amount*phone-number#. 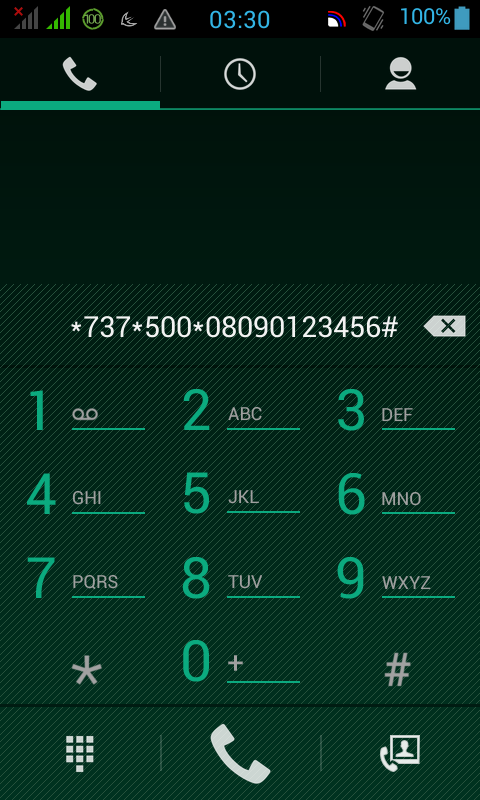 For example dial *737*500*0803xxxxxxx# to buy 500 Naira airtime for that particular line. I hope you enjoyed this article, take few minutes to share it via the share buttons on this page. Your comments are highly welcomed as well.